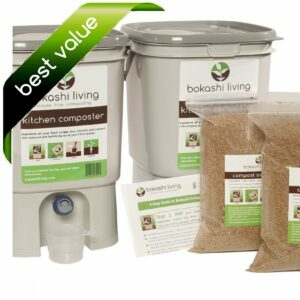 Bokashi tea, or bokashi leachate, is the liquid that is generated by your bokashi bucket. 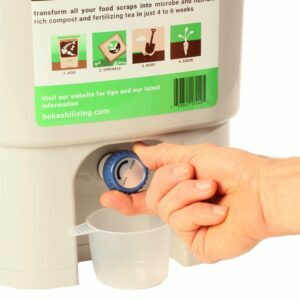 Its most common use is as a fertilizer, to unblock bad drains and as a boost for septic systems. Learn more about these uses for bokashi tea here. Can bokashi tea be used as a weedkiller? Absolutely! Bokashi tea is very acidic. Dilute bokashi tea 1:100 for use as a fertilizer (and diluted even further for particularly sensitive plants). This acidity makes it ideal as a weed killer. No need to dilute it, just simply pour it directly on to your weeds. This is a great, natural herbicide that won’t have any negative health effects, unlike other weed killers. For example, Roundup may cause cancer in humans who are exposed to it so if you have ever used it then you could want to read more about this here. 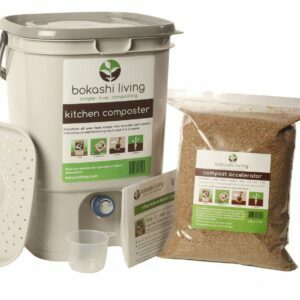 Using bokashi tea as a weed killer could not be simpler. Repeat every few days if your weed is a particularly stubborn one (buttercups, dandelions etc). By pouring the bokashi tea directly onto the plant, it will also soak into the soil and get to work on the roots of the plant. However, it could also kill adjacent plants. If there are neighboring plants that you don’t want to lose. 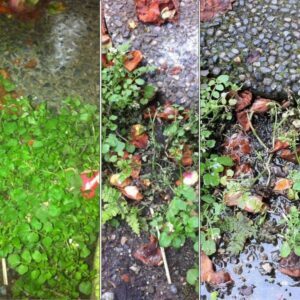 Put the bokashi tea in a spray bottle and apply the undiluted bokashi tea to the foliage of the leaves only. 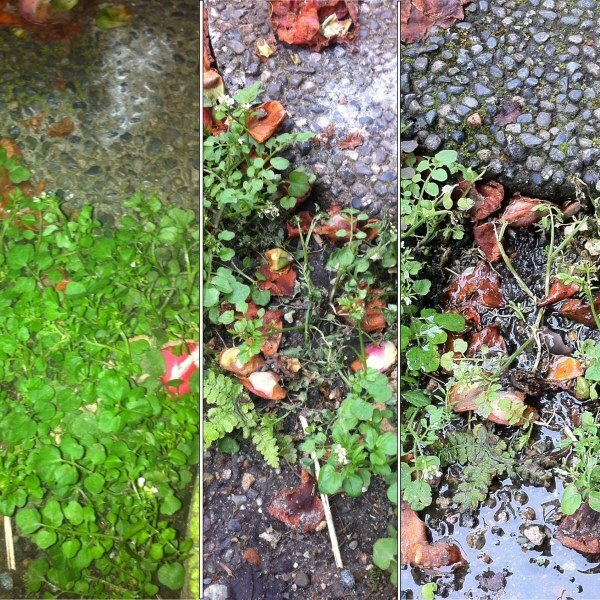 This image shows the effects of three applications of bokashi tea every 2-3 days (from left to right).